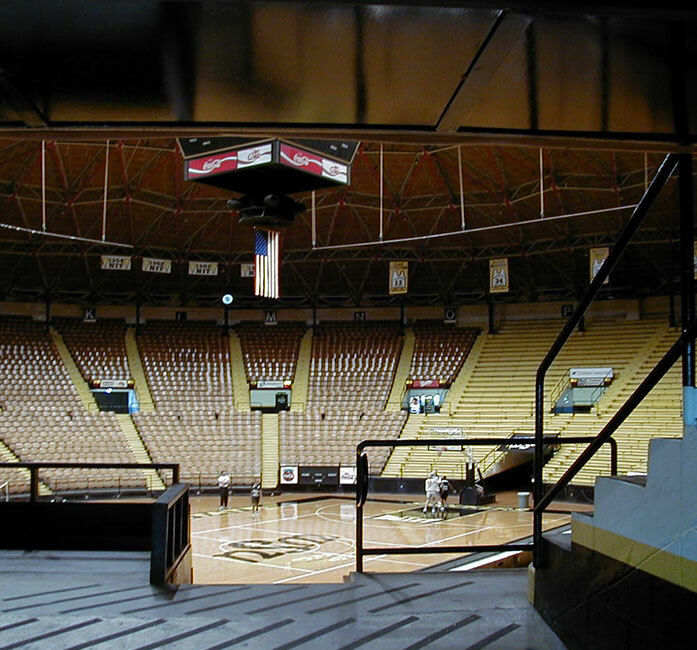 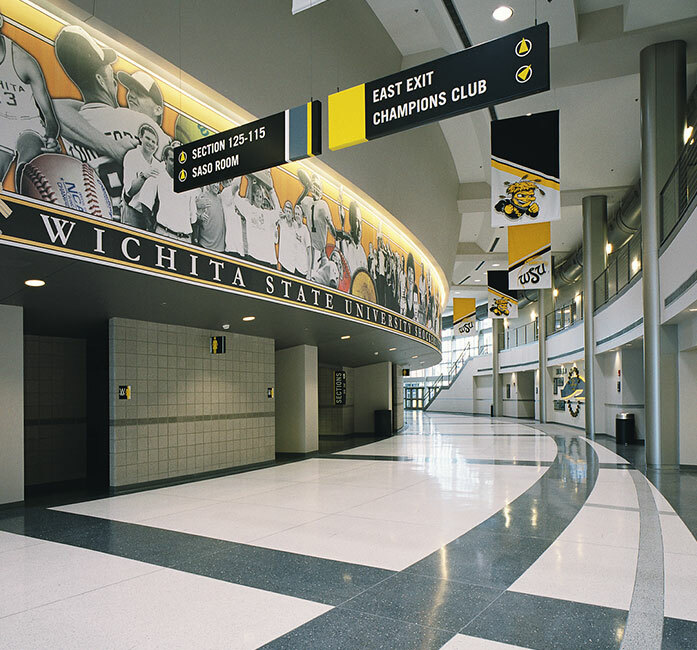 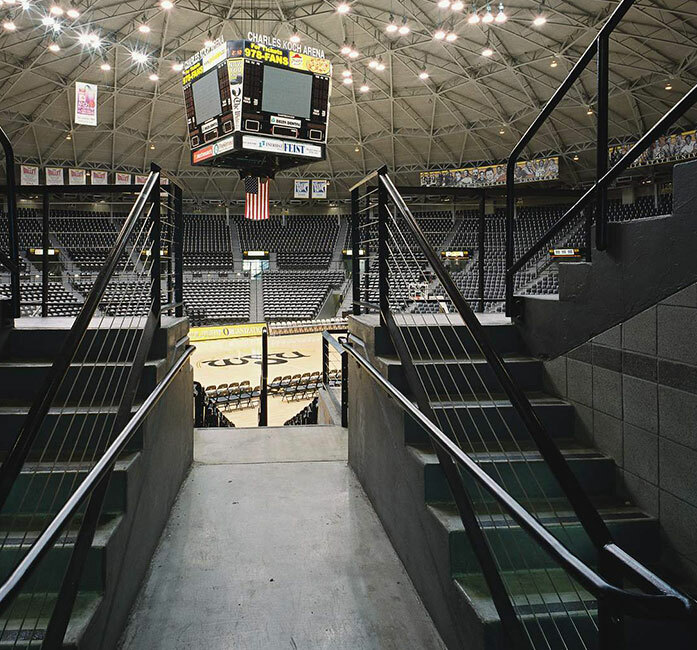 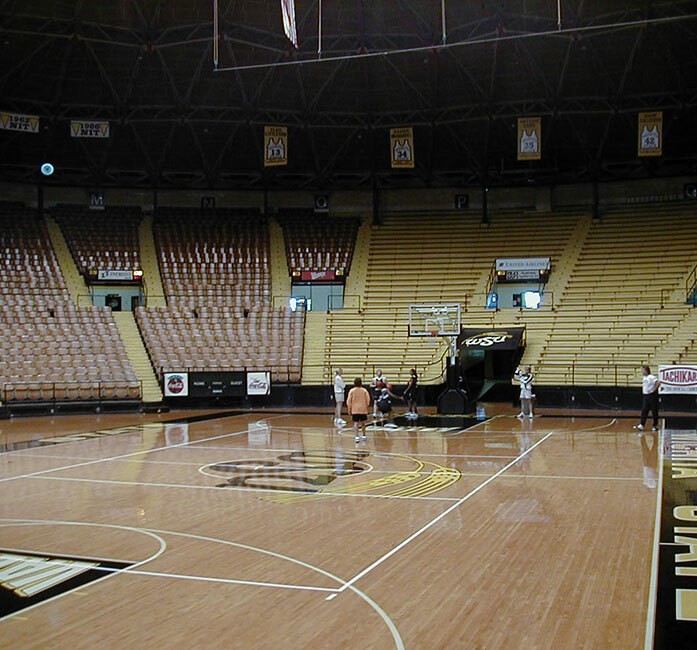 GLMV completed extensive renovations for Wichita State University's arena. 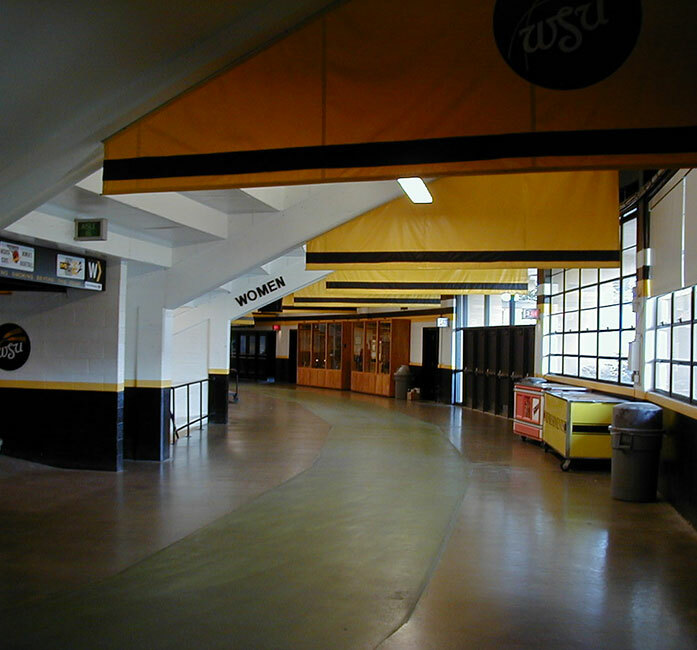 The existing concourse, located below the risers, was repurposed as new restroom and concession areas, and a new, wider concourse was designed. 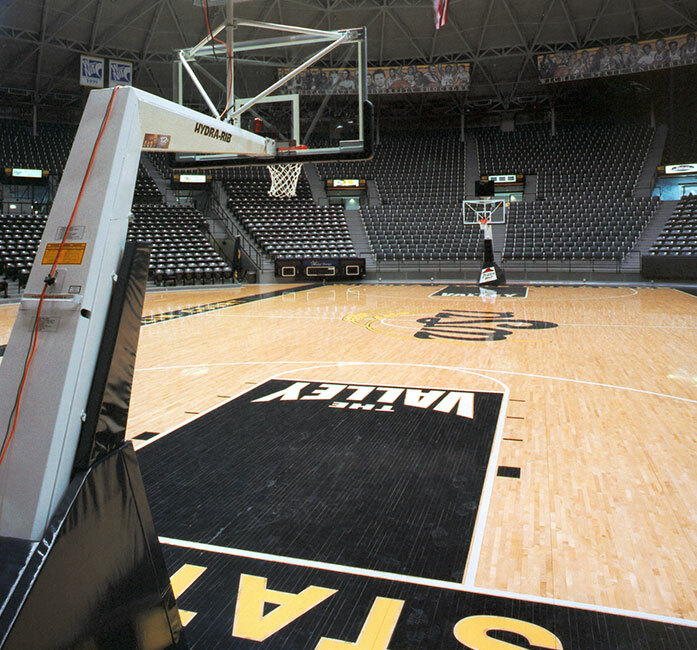 Also included were ADA upgrades, seating reconstruction, and new seats as well as new additions containing student services areas, weight training, and practice courts.